Mum’s are special and super humans, and I love mine very much! She is an absolute super woman, who can juggle a million things at the same time. When she was visiting me in London, she was making all these delicious food for me everyday and my most favorite memory of her was walking to the nearest Sainsbury (Yes I am a big fan, and my mum says their meat is the best) to buy groceries – reminded me of my days as a toddler when I followed her to super markets. 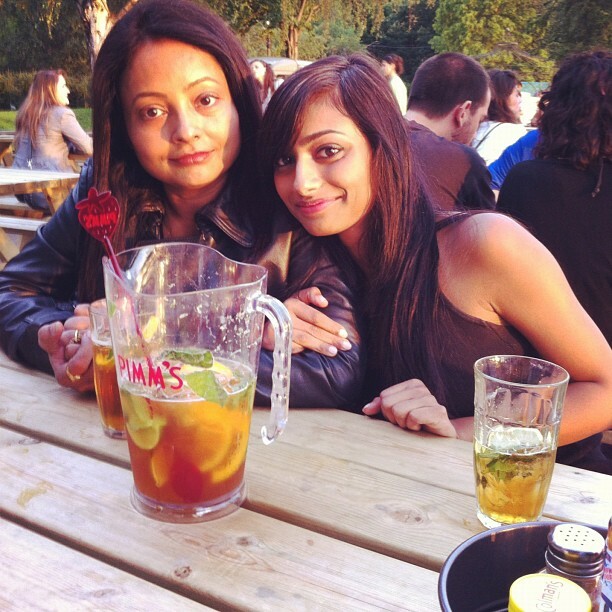 Mum and me having a jug of Pimms! Most of the recipes I post in this blog are actually stolen from her, so this Mother’s day I am dedicating this recipe to her. It is the most delicious Indian dessert and you can never go wrong with it – its a mass favorite. 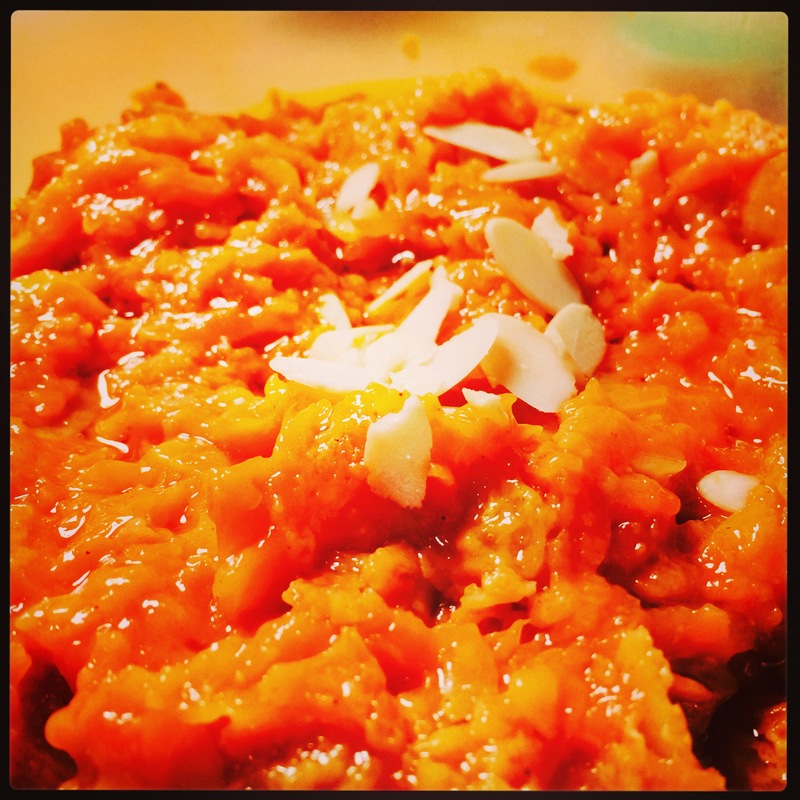 So, why not impress your mum by making this exotic Indian Carrot pudding or most popularly known as Gajar Ka Halwa. Get Cooking to impress Mummy! 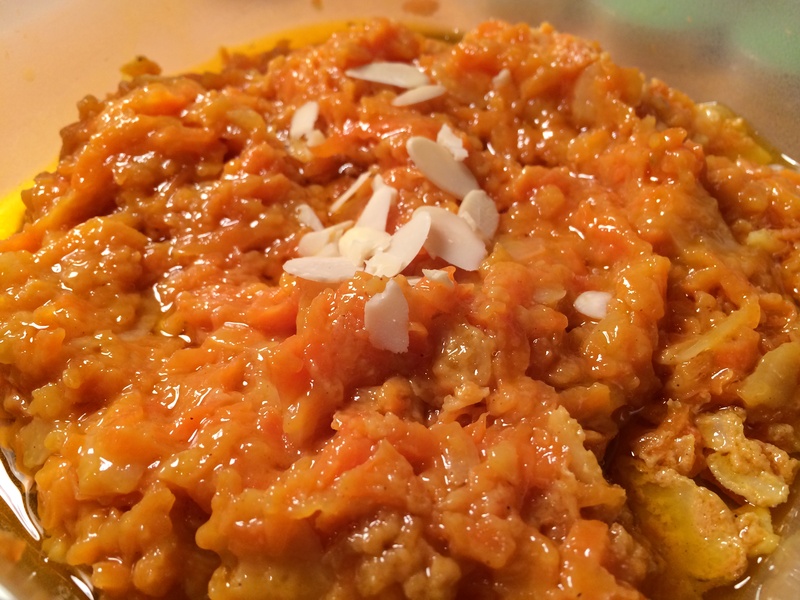 Heat the ghee in a pan and then add the grated carrots and cardamom pods (smashed). Stir it for about 3-4 minutes in medium heat. Add the evaporated milk and sugar. mix well and then cook in low heat till the you get a pudding like texture (you want it to be quite thick and not runny). Finally add the almond flakes to garnish! Serve it hot or cold – its so good that it tastes great either ways! HAPPY MOTHER’S DAY to all the Mum’s in the world!